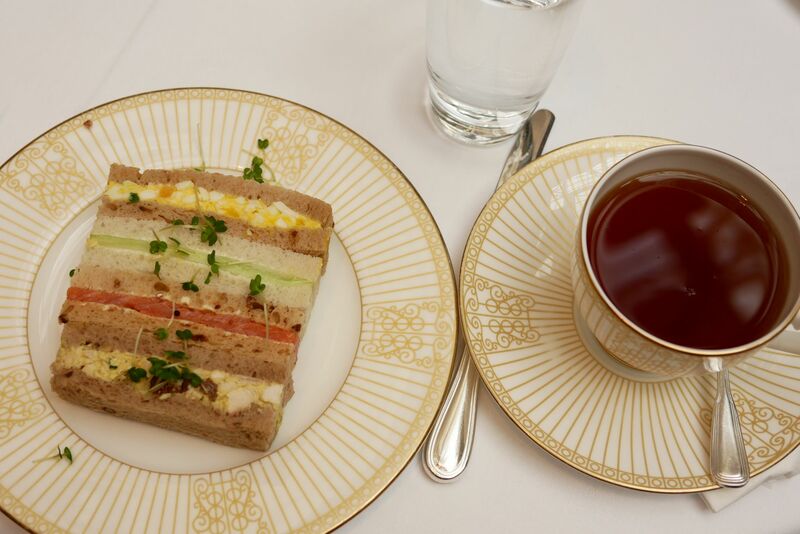 It’s still afternoon tea week in my opinion. 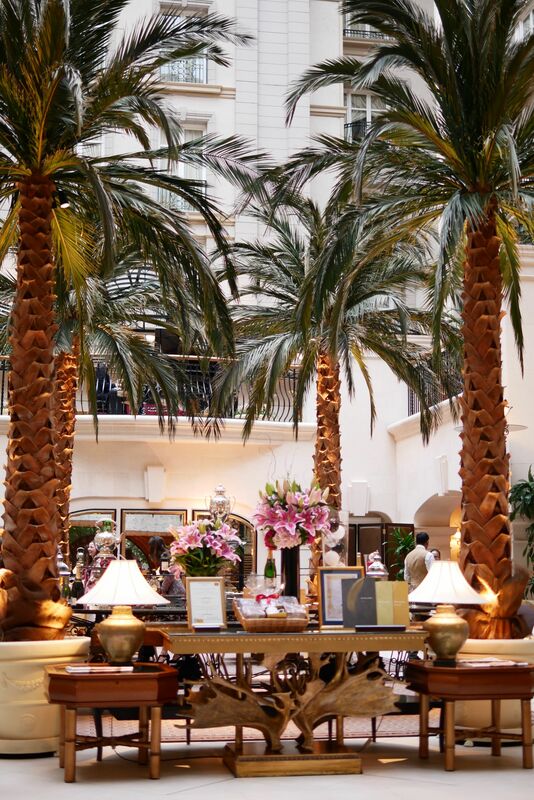 So in order to celebrate the last day of afternoon week my friends and I went to one of the most beautiful hotels in London (in my humble opinion). But if you’ve been the The Landmark, you’ll probably agree with me here. 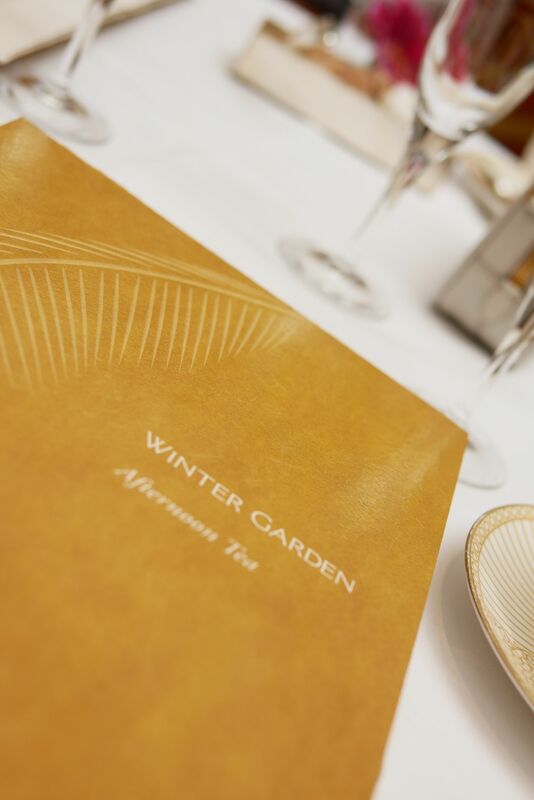 The Winter Garden at The Landmark is one of the most beautiful afternoon tea settings you’ll possibly ever eat at, hands down! 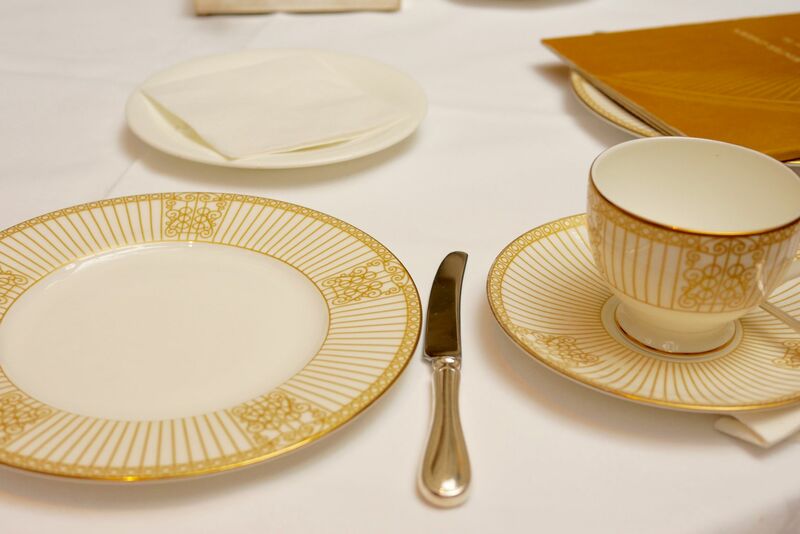 My heart almost gave a leap of joy as I walked into the main court where the afternoon tea was served, it was stunning! I couldn’t believe I was still in London! 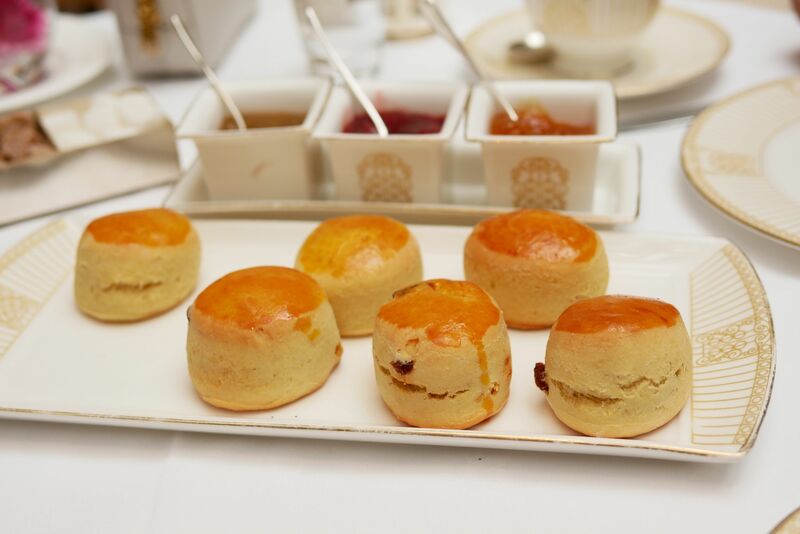 And even more excited to see what the afternoon tea had to offer. 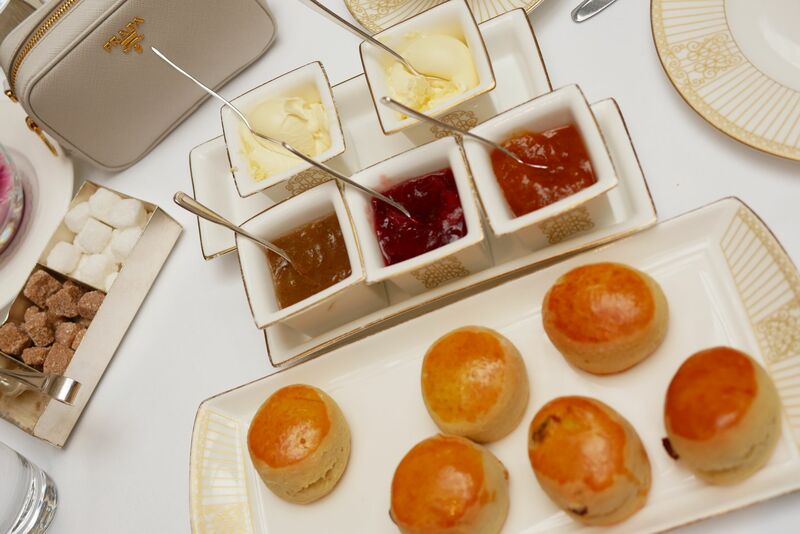 There were 2 available afternoon teas – Classic afternoon tea and Chocolate Afternoon Tea. (Although there didn’t seem to be much difference between the chocolate and classic apart from some few desserts). 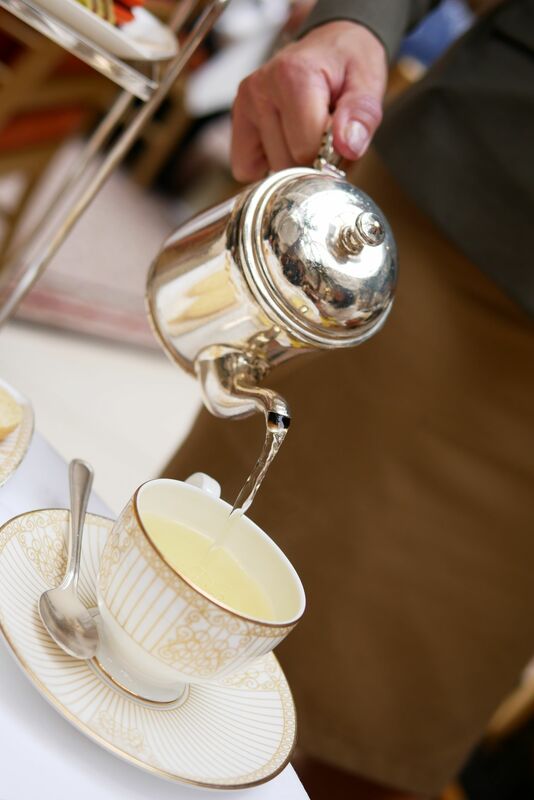 The tea selection wasn’t vast but there was still a good selection of teas – I went for Smooth Caramel, and my friends opted for Midsummer Mango and Winter Garden Blend (which is made specifically for the afternoon tea and cannot be found anywhere else in the hotel!) 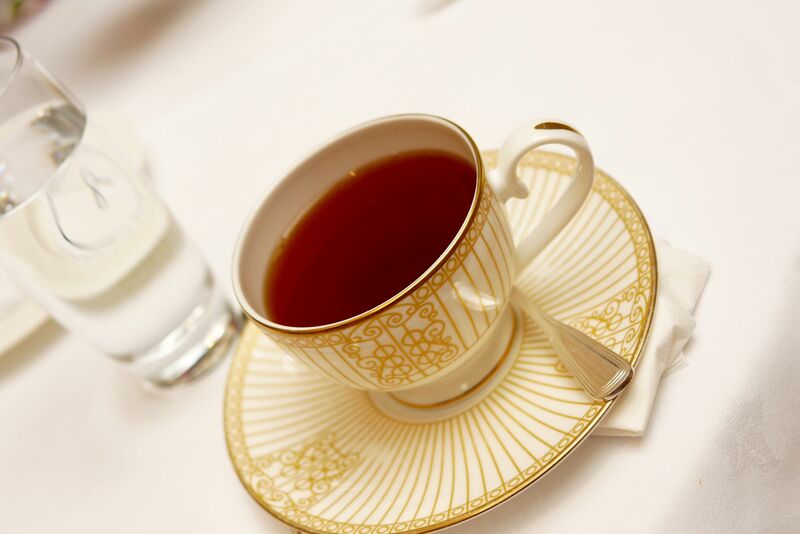 The teas were so fragrant, each tea was true to it’s individual taste and tasted simply beautiful. 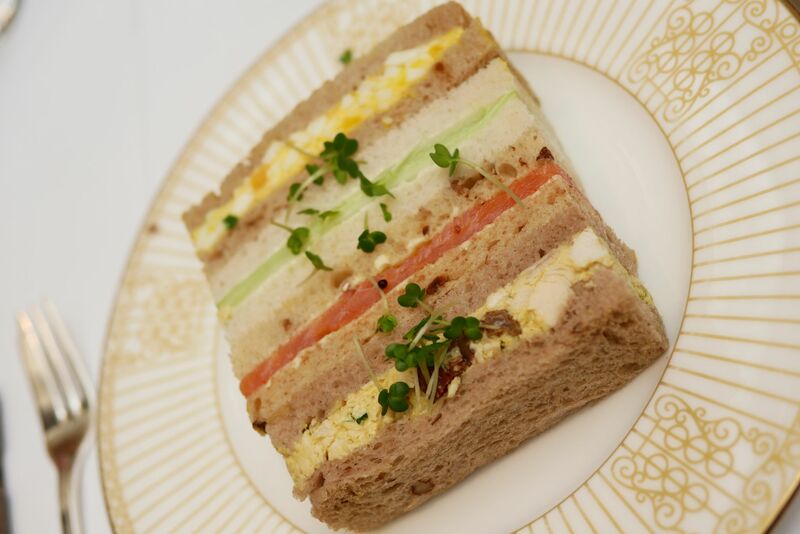 So, we started with the sandwiches – Coronation chicken on walnut bread, Organic egg mayonnaise and mustard cress, Classic cucumber and Lapsang Souchong Scottish smoked salmon. 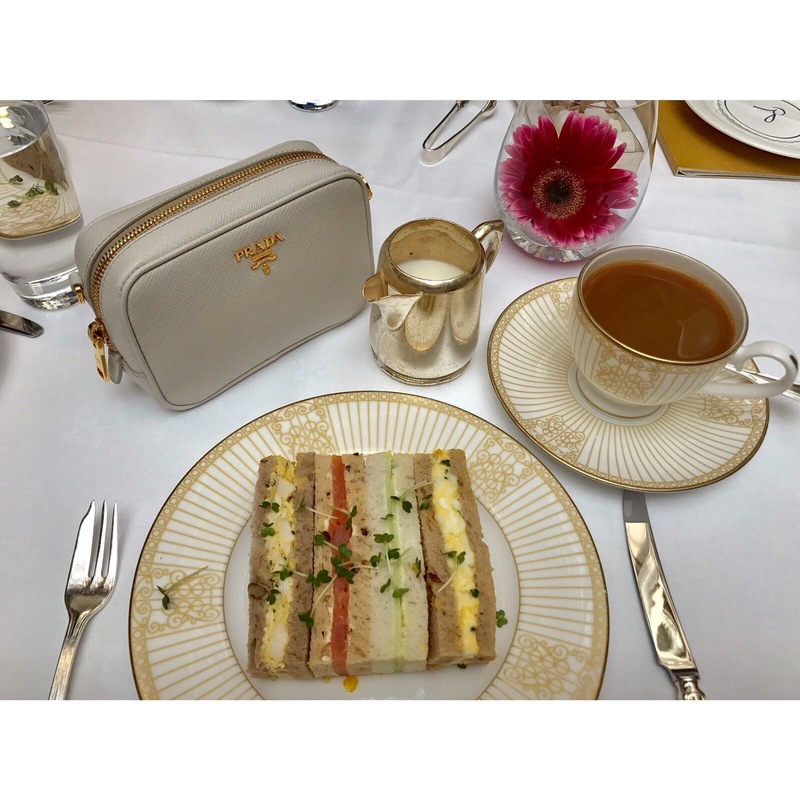 From the small selection of sandwiches, my favourite was the Coronation Chicken – probably because it was the only halal item on the menu – actually it was the only meat on the afternoon tea menu. Also, I’m not a huge fan of egg sandwiches usually but these ones were so good! I was a little less than impressed with the Classic Cucumber though, if you’re only going to serve 4 types of sandwiches, probably best to make them all special, which this was not! 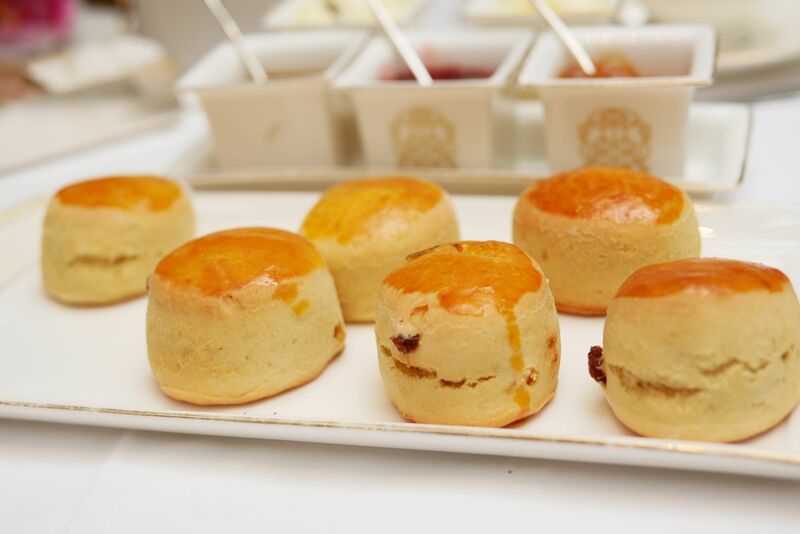 Next came the scones – Plain, with raisins and with chocolate chips. 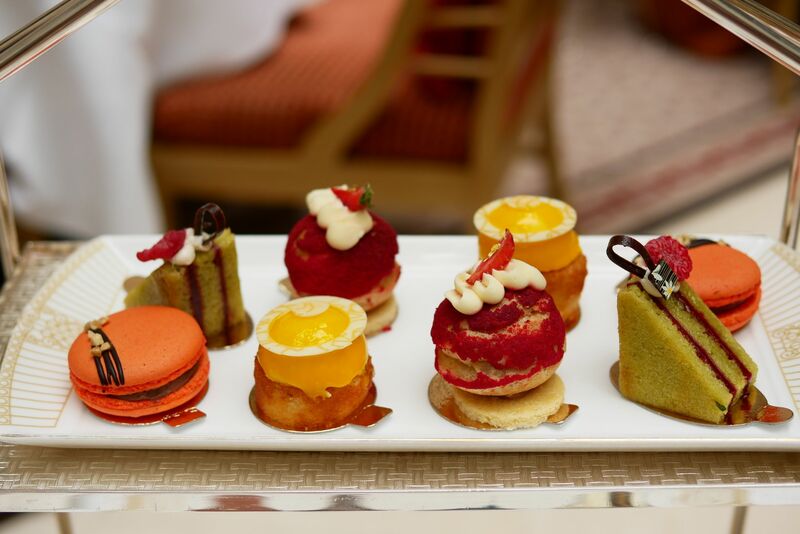 And, finally, the dessert plate (from left to right) Chocolate and Orange Macaron, Lemon Mousse, Almond and Lemon Sponge, Strawberry Choux “St Honore” Coconut Sable Biscuit and Pistachio and Rasberry Bakewell. 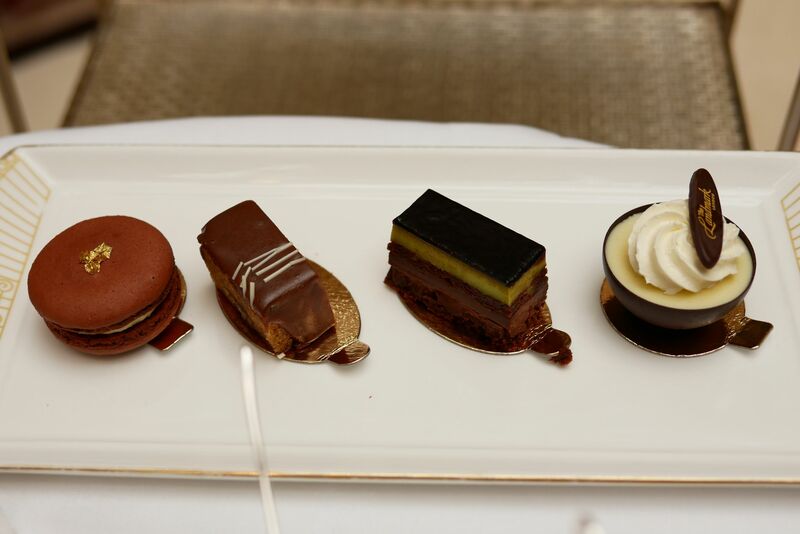 And the desserts from the Chocolate Afternoon Tea – Coconut and chocolate macaron, Banana, Pecan Nut and Milk Chocolate Cake, Blood Orange and White Chocolate Mousse and Pistachio and Chocolate Opera Gateaux. Even though at this point we were all so so stuffed from all the food we had already eaten, we still went on because we’re not quitters! 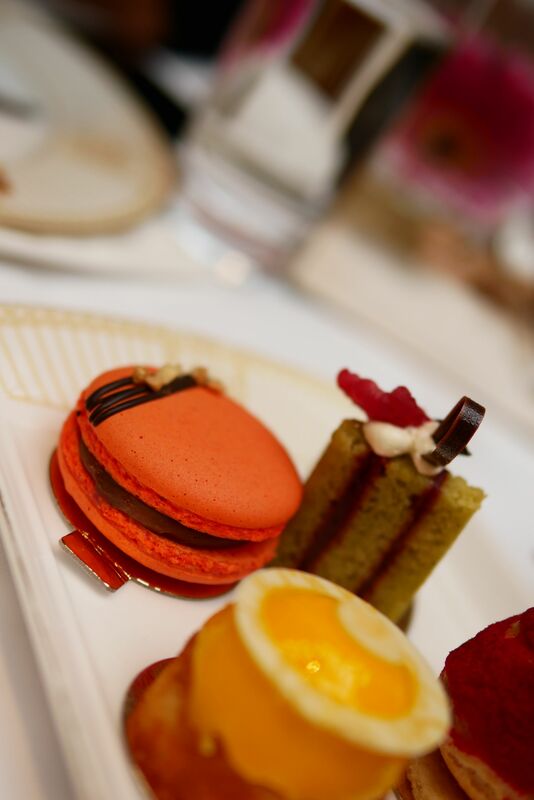 My favourite of the lot were the Chocolate and Orange Macaron and Pistachio and Chocolate Gateaux. However, they were all very rich, almost a little too much to digest right at the end of a big fat meal. Overall, the experience at the Winter Garden was good, but not amazing! 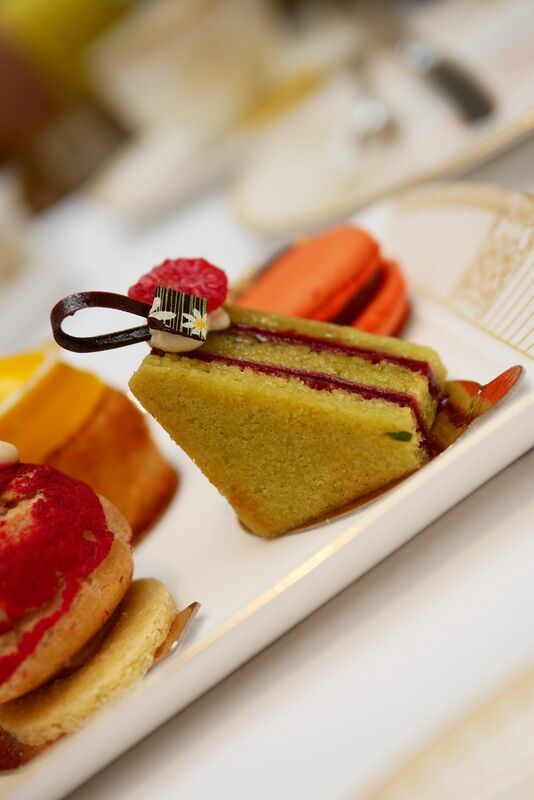 For £45 for the traditional afternoon tea and £48 for the chocolate afternoon tea, it wasn’t really worth what we were paying for. 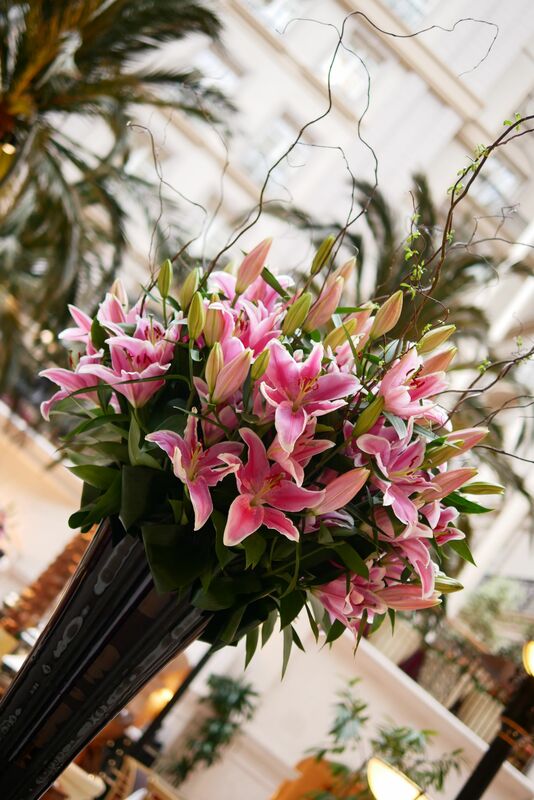 The only saving grace was the great service we received and the atmosphere and setting, the place was absolutely beautiful! Would I get married there? YES 100% YES! (Hope you’re reading this future husband!!) 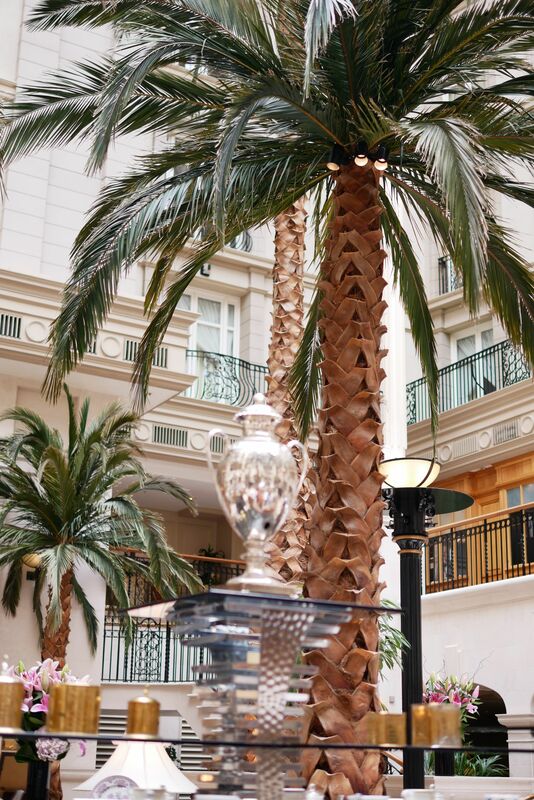 Would I go back for the afternoon tea? Probably not! 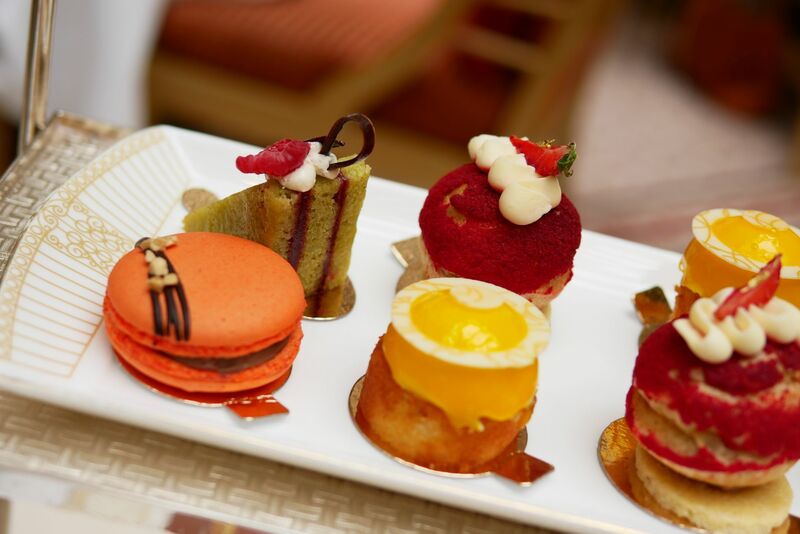 Overall, giving Afternoon Tea at The Landmark a total TLH score of 7 out of 10. 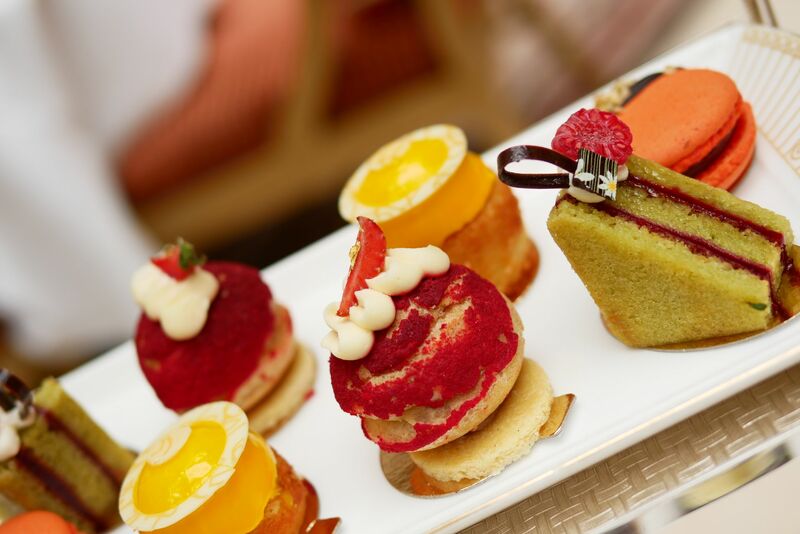 Have you been to the Afternoon Tea at The Landmark? What were your thoughts? I’d love to hear from you!